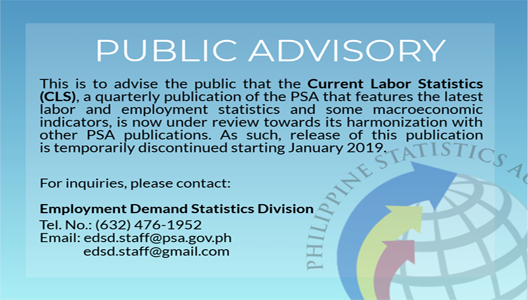 The Current Labor Statistics (CLS) is a compilation of the latest labor, employment and related statistics accompanied by data highlights. The major data producers in government and the various offices of the DOLE are the data sources. Published every January, April, July and October, it can be downloaded from the PSA website.